At Micro Focus Government Solutions, we support the needs of the US public sector. Our agile and modern software solutions allow us to solve mission-critical IT challenges. We are a purpose built, US based company that is committed to helping your organization's mission. We make the possibilities of data tangible for your agency today. Whether it's finding mission-critical insight or creating a foundation for growth, our big data software offers you a history of expertise and comprehensive solutions to help your organization build a bridge to tomorrow through a data-driven foundation. Protect what matters most to your agency by building security into your data and applications. Modern IT operations management tools bridge the gap between traditional IT, the new digital enterprise, and fast paced mission-critical initiatives in a straightforward way. 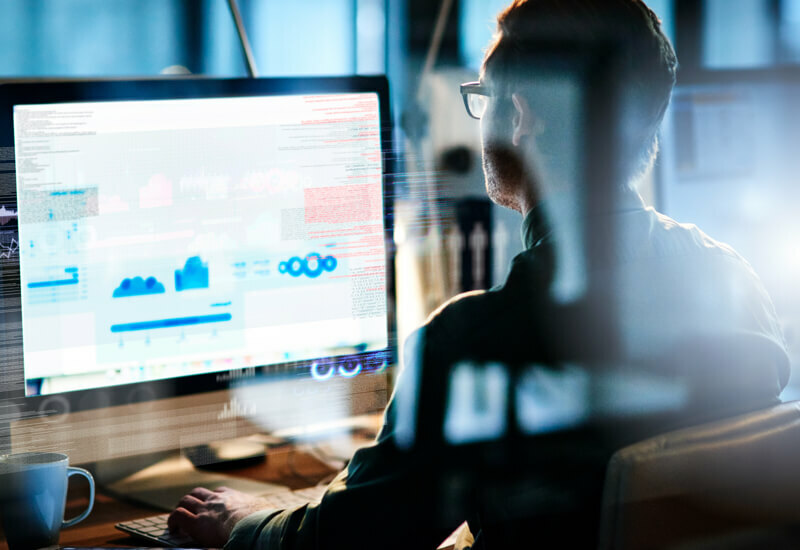 Our solutions provide a comprehensive approach to protect the digital enterprise from risk and empower data-driven agencies to harness value from all of their information. Discover industry leading solutions that help your agency or organization deliver amazing user experiences across technologies with quality, speed, and confidence, accelerating the planning, testing, delivery, and support of optimized applications. How Can Agencies Securely Move Data and Analytics to the Cloud?